Holy Cowl, check out the lights! 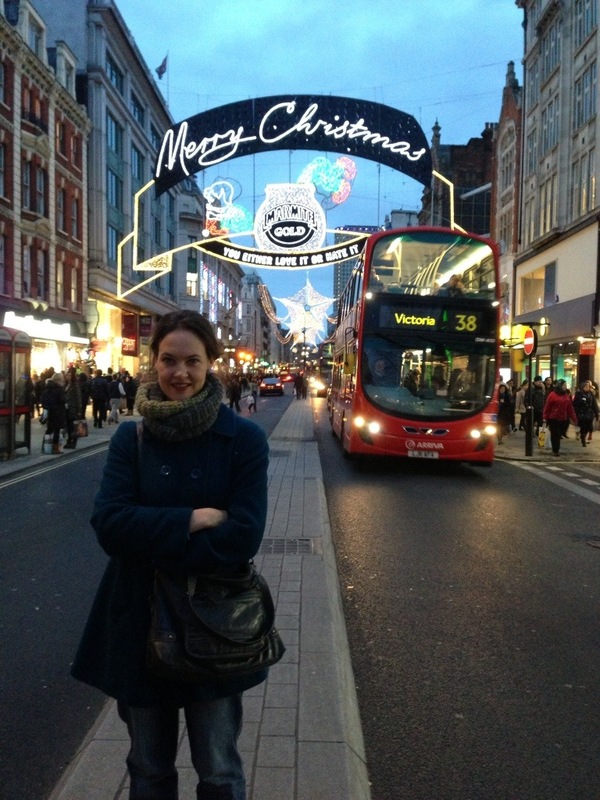 Sunday afternoon Hubby and I went to London Town to look at the Christmas lights in Oxford Street. 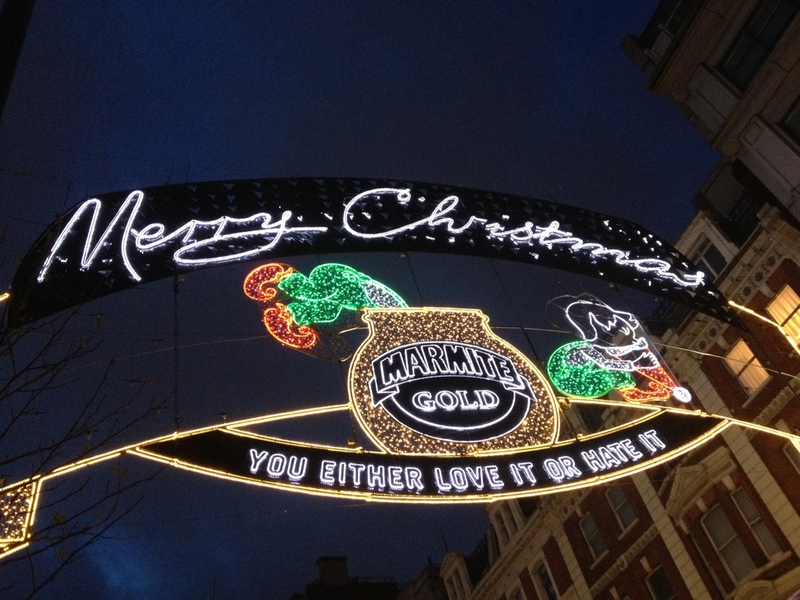 We are over 35’s but Christmas lights, especially in London, still do it for us. Every time. The trick is to watch the lights from a bus, thus avoiding the crowds and cold, preferably from the top deck and in the front seats. 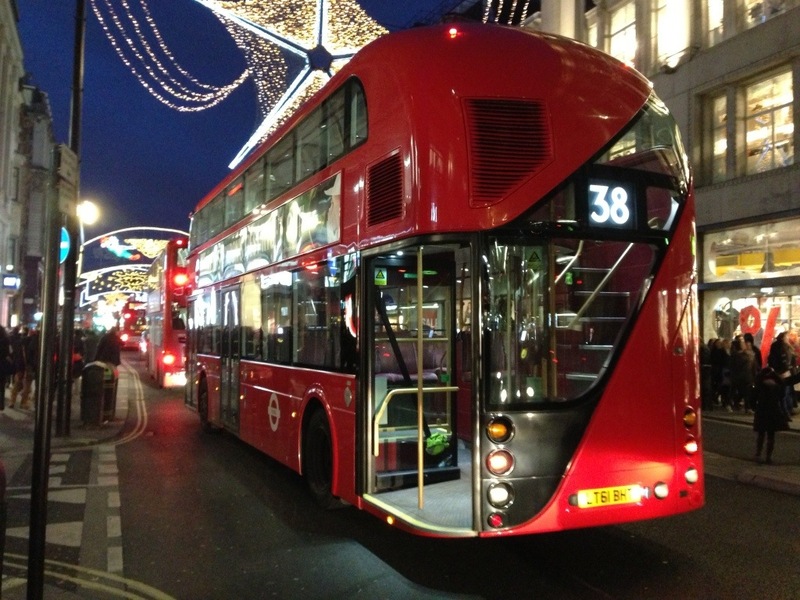 Imagine our surprise when one of the brand new Routemaster busses passed us in Oxford Street! It was on diversion so not even meant to be there. We deftly jumped aboard on the back platform and made our way to the top deck. And behold a seat at the very front of the bus. Excellent. Starbucks red cups are a must! 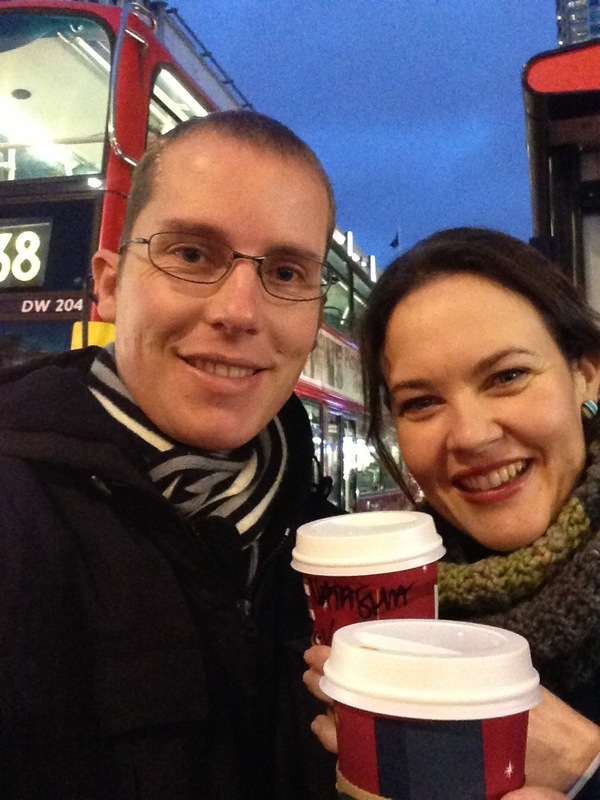 We celebrated the pretty lights and our good luck with a mandatory Starbucks Christmas Coffee in a red cup…. and later with a visit to Burger King. Whaaaat? It’s our tradition! 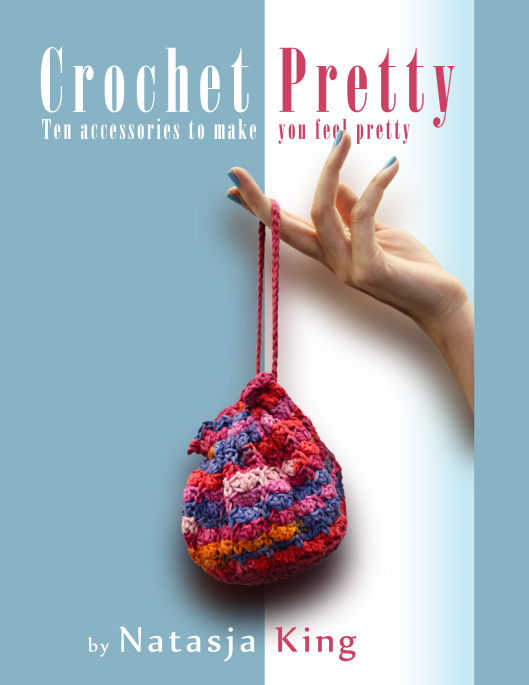 If you clicked on the photos in the fancy shmansy WordPress gallery above, you would have seen my crochet cowl…. Yup, it’s the one that I blogged about on Saturday. I started, and promptly finished, the Saffron Cowl in a day! It was super easy and quick. So quick that I think I could have had a better result if I took my time a bit more with the assembly. Let me explain. The pattern consists of three strips that you plait and form into a cowl. Easy right? And a genius way of doing something a bit different. I did exactly as the pattern stated, apart from the fact that I used two strips in one colour (grey) and the third strip in a mix of green and green-grey. So far so good. The thing I would do differently, and recommend you do too, is to block the strips before plaiting & assembly. I didn’t block, and my strips all curled around the edges making the cowl less structured and the plait not as obvious. I think I can still save it if I wet block it now, despite it being a tube. I think I can… Alternatively, I will have to sew the strips together in a few more places where they overlap. 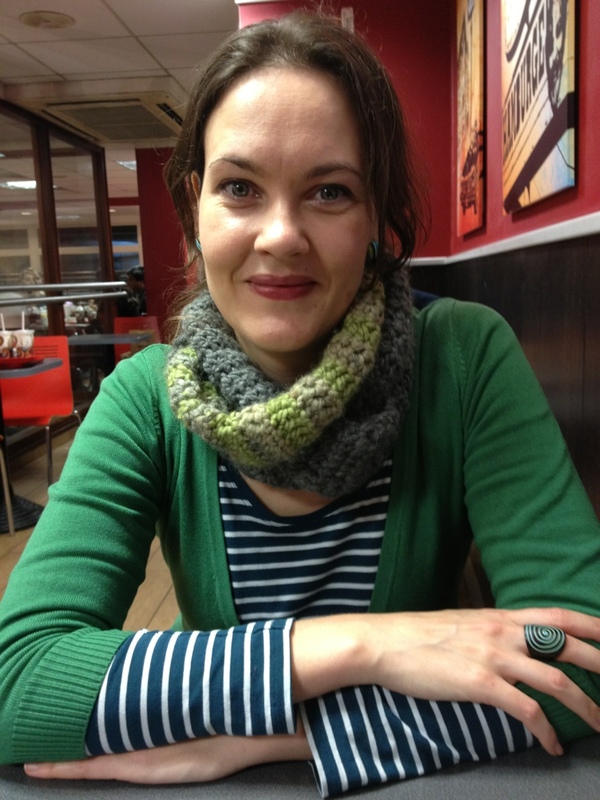 The designer of the cowl, Sara Sinaguglia calls it an “oversized plaited cowl” in her blog. Mine is more of a undersized ropey cowl. (I did do a gauge swatch, so I know the size of my (uncurled) strips are correct.) I’m not unhappy with the cowl, I just think I could make it look better if I sort out the curling edges. Yarn: Sirdar Big Softie Super Chunky in gray – shade 319 (Graffiti), green – shade 321 (Beanie) and Sirdar Indie Super Chunky in a self striping greenish grey – shade 154 (Montana). 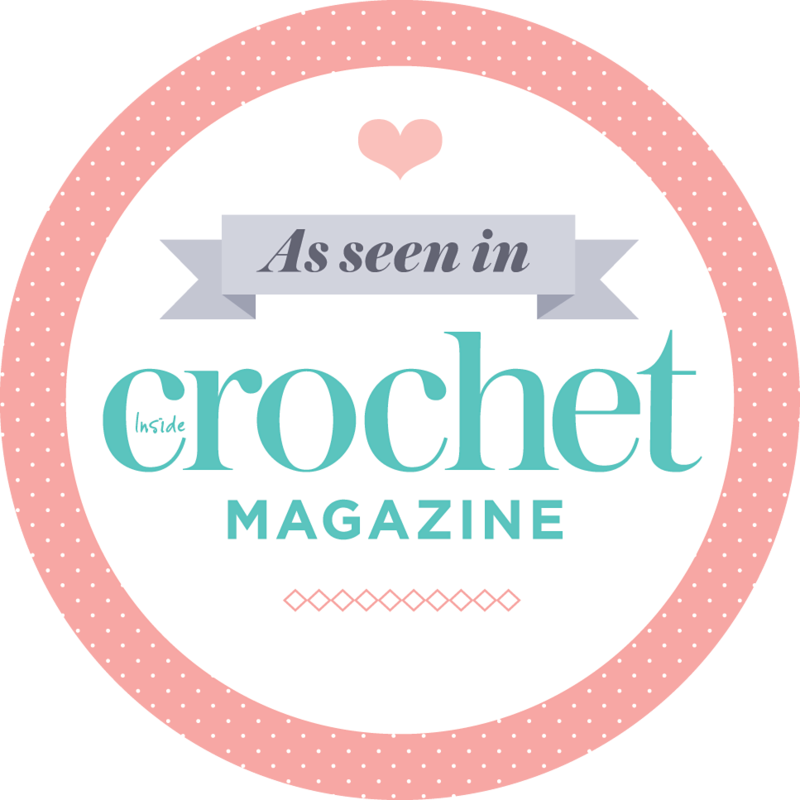 Pattern: Saffron Cowl, designed by Sara Sinaguglia in the January 2013 issue of Inside Crochet magazine. I’ll let you know how if I get on with the Uncurling Of The Cowl. 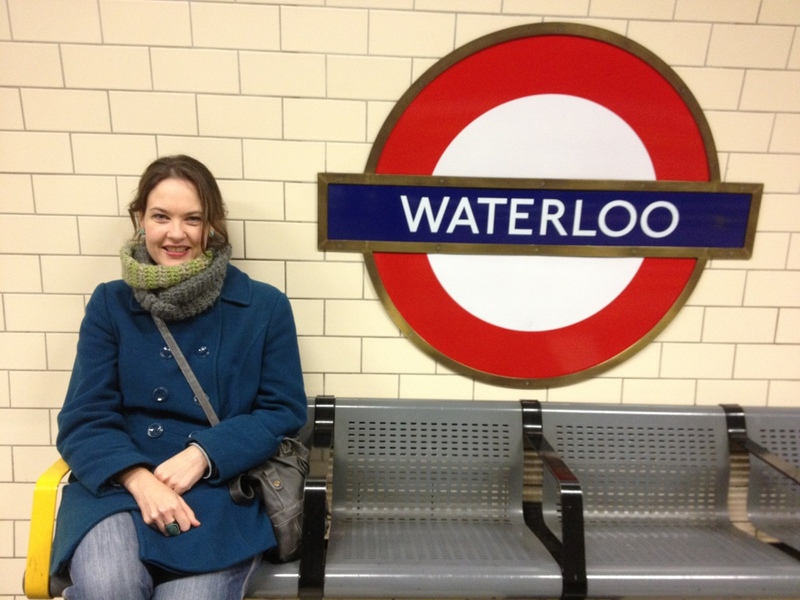 Loved your post as it resonated with me as I’d done a similar journey the day before. I took the 14 bus from putney bridge up to Piccadilly Circus (fab route especially on the top deck) going through Fulham, south ken, Knightsbridge, green park, Piccadilly. Then I walked all around the side streets around fortnum and mason up to libertys on regent street. The lights were glorious! 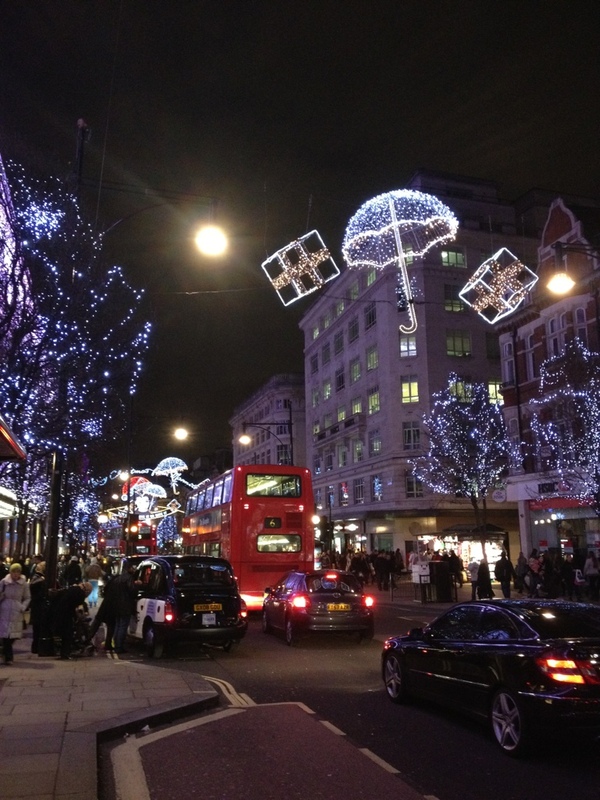 I love central London at Xmas! That route sounds lovely Chris! I think I will exactely the same in Spring. For me there is no better place at Christmas, than London. Hope you are well, and I’ll see you at the next meetup! I think it looks great. Love the colours you chose. The cowl is gorgeous! And what fun to go see the lights. Happy New Year! Thanks! It was great to see the lights and feel the Christmassy New Year spirit. I hope you have a great 2013!